Callyn Hahn – Sullivan Supply, Inc.
Callyn Hahn is originally from Watseka, IL and currently resides in Fresno, CA. Her parents are Dough and Donna Hahn. Grown-up they predominately raised purebred Shorthorn breeding stock while also dabbling in club calf genetics. She showed and sold progeny that the family raised. Callyn attended Blackhawk Community College and Kansas State University. 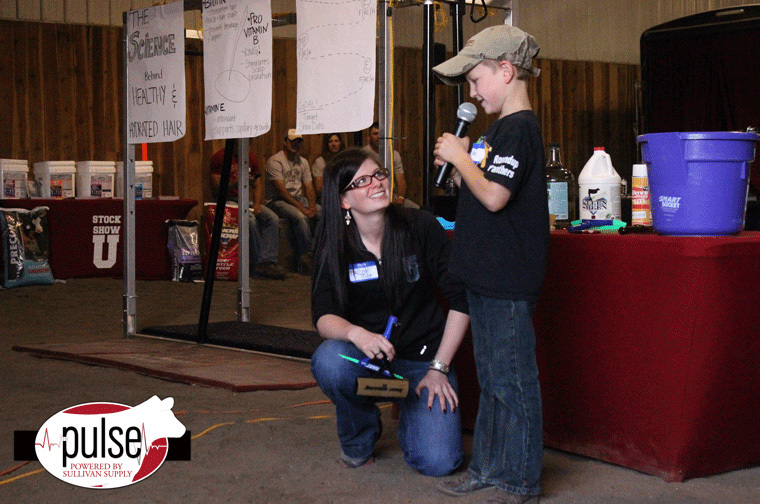 While in school she participated on the livestock judging teams at both schools. After graduation, she worked for Sullivan Farms before becoming the Dean of Stock Show University until 2017 when she became the Director of Small Animal New Product Development at Sullivan Supply Inc.